Aptly called the textile capital of India – Surat is known all over the world for its beautiful and gorgeous Indian Saris, the traditional dress of India as also dresses and lehengas worn by the ladies. It is one of the greatest emporiums for sari trade in India. No wonder then, it is also a shopper’s paradise for every Indian woman who loves to drape herself in this classic and elegant 6 meter long cloth. 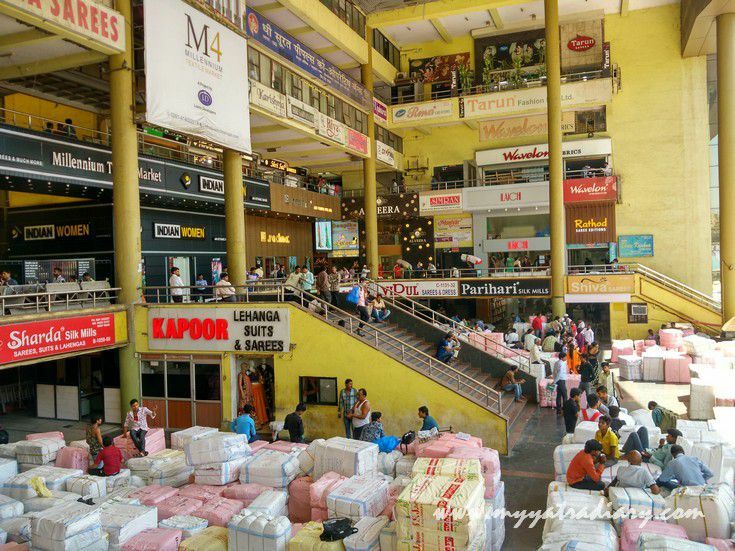 Many of the textile markets here are wholesale in nature but some like New Bombay and Old Bombay textile markets are full of retail shops selling some of the best designer sarees, lehengas and other Indian dresses that are in the trend. 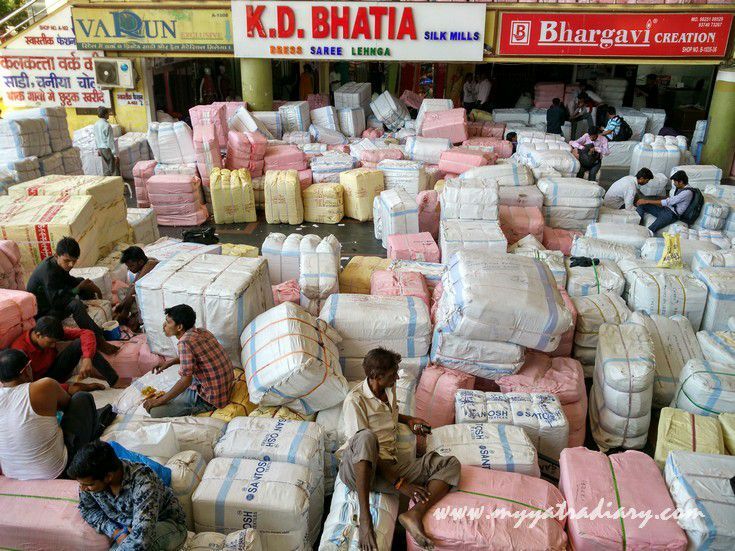 Here are a few pictures I clicked when I was recently at some of the textile cloth markets in Surat selling all kinds of beautiful sarees to woo the Indian shopper. The sight of the wide array of of saree collection in these markets and shops just made my jaw drop - there were pure silk sarees, cotton silk sarees, georgette sarees, bandhani sarees, kota sarees, plain sarees, party wear sarees, chiffon sarees, bridal wedding sarees, designer lehengas, fancy sarees, new sarees, old fashioned sarees, and so much more! You name it and it was there! For those who cannot go to the shops in person or don't have the patience to endure the persistent haggling by the shopkeepers, try looking for them online and you might just find yourself latest, trendy, exclusive designs of silk, cotton and designer Sarees suited to your needs. If you're lucky you might also land up some special offers online on the saree price. Coming back to the post, let me not waste any more time and get straight to the business ... sari shopping! Come along, let's begin our online Sari shopping in Surat! Enter in any of these markets and all you will see is different types of colorful saris – heavy silks embellished with delicate works of zari, crepes embroidered with elaborate threadwork, printed chiffons, georgettes and many many more - all in unique designs and vibrant colors. If you bargain tough, chances are you will leave the market smiling with a good quality sari for a very reasonable price. 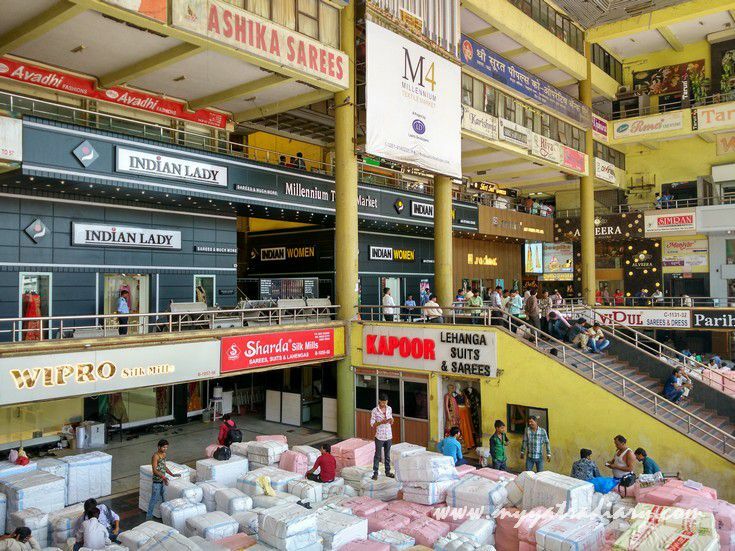 Most of the shops here have saree prices slashed to more than half of the actual price, the reason why Surat is famous as the textile hub of India. 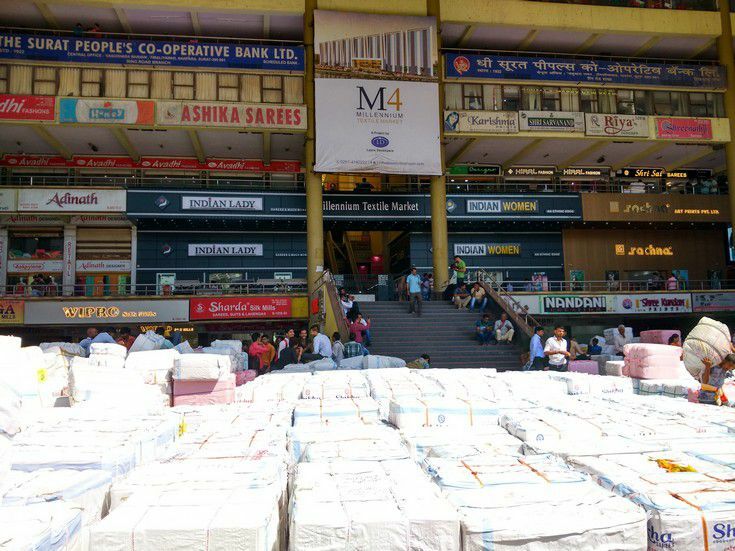 We had entered the Old Bombay textile market just to get a feel of the sari shopping mania. When we left, my mother had her hands full!! POST UPDATE: This post is updated with latest saree pictures online from Surat 2018 Location: Milennium textile Market M4, Surat. 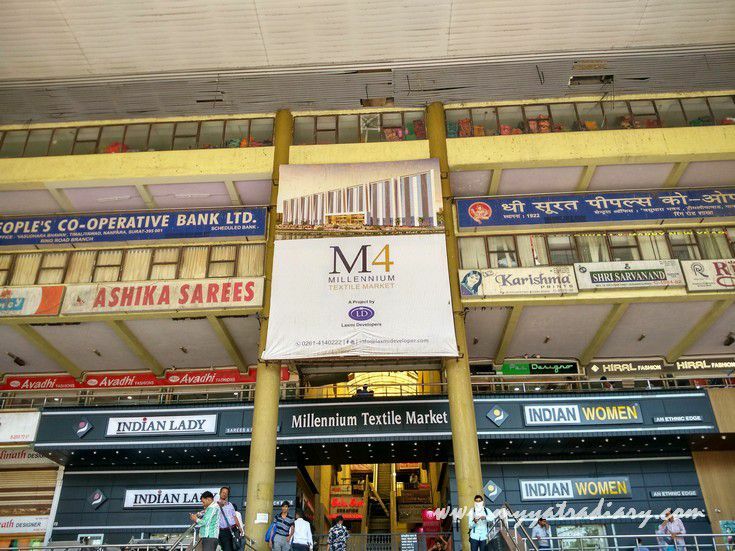 M4 Milennium Textile Market is one of the leading textile markets in Surat. in the various saree lehenga shops inside the market. 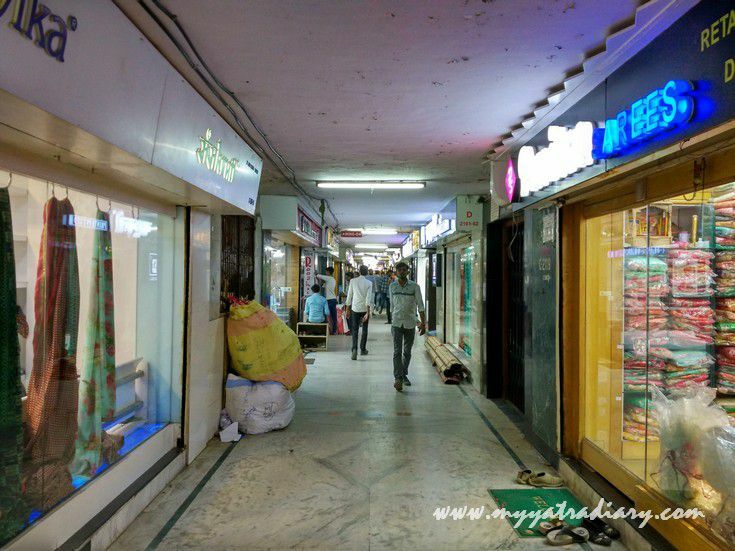 Various saree shops in Surat at a glance. Wipro -Silk Mills. Sharda's Silk Mills, Kapoor Lehanga Suits and Sarees to name just a few. the best sarees that you can get anywhere in Surat! life is not easy for them either. 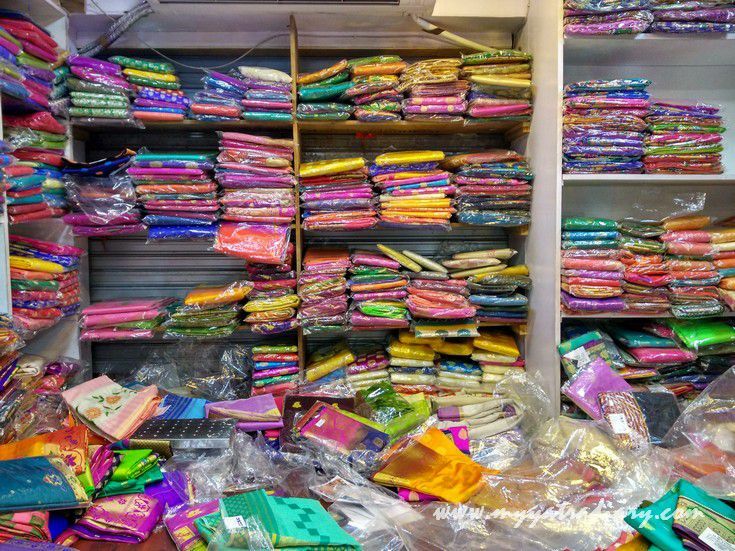 A glimpse of the saree shops inside the cloth market in Surat. 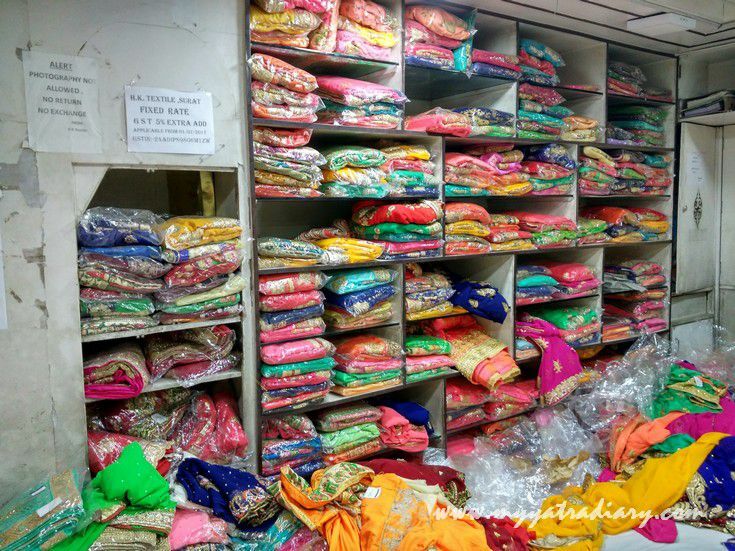 Colorful ,vibrant and beautiful saree lehenga suit collection inside one of the shops. 10 AM to 9 PM. Sunday Closed. Ring Road, Surat, Gujarat, India. Would you like to share this article with your friends? Just beautiful...such variety and color! Srat is very good place for sari shopping, htere is many variety of saries and color! I love beautiful fabric. These would be hard to choose from. Lovely pictures. 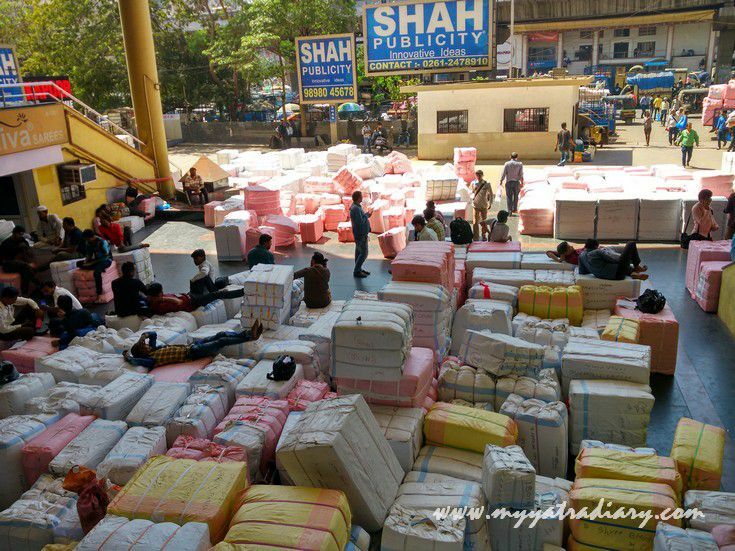 I have heard of Surat textile market but felt happy reading your post. It was as if being their physically. How beautiful, All those wonderful fabrics. The colors are so beautiful. the fabric is amazing! a friend of mine is preparing for her son's Hindu wedding in Trinidad. She explained that she will be going to the market to pick out fabric ...and I imagine this is exactly what it looks like. Arti that fabric is just beautiful -- what a great idea for a picture -- the saree fabric is so inviting -- just makes me want to grab a few! I love collecting handloom sarees. The information provided is very useful for a first time visitor. Many thanks for your efforts in collecting and hosting. nice blog! and good view of surat. Delighted you stopped by... Your suggestions, feedback are really appreciated. Thanks a lot :) Hope you visit again! Search and ye shall find! Step by Step Guide: How to Book Shirdi Darshan and Arti Online? ISKCON Temple, Jaipur: A Psychedelic Window To The Spiritual World. 41 Beautiful Travel Quotes (Plus Video) to Inspire the Traveller within You!